At age of 42 years old...now...haish..yup! I am this old already. I know the reality the beauty won't last forever. I can't fight the old aging process but I always believe can try to slow down the process by eat healthily , maintain healthy lifestyle and taking care of skin. It is important to use 5 STAR product with good ingredients for skin. 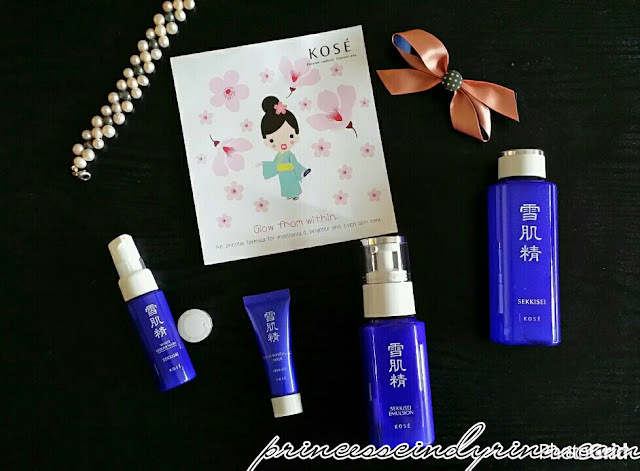 Recently I was up for 7 days challenge to try out KOSÉ SEKKISEI special edition trial kit! This is a collaboration with The Butterfly Project. * This products use a trio of oriental plant extracts : Coix Seed, Melothria (White Lotus) and Angelica. Gosh! I am one person who love herbs and spices. The smells of this products suit me well. It smells like nature and its freshen up my mood and skin as well! You know our Mother Nature are getting super sick now. So we currently living in very harsh environment, so it is important to find product which can work perfectly to protect our skin in this current condition! * Commitment to help women attain bright and translucent skin with glowing radiance, just like fresh snow. No wonder they recently introduce Setsuko as their icon! Just right with the claimed. What is my 7 days skin regime with KOSÉ SEKKISEI’s ? Experience - love that this product cleanse my skin delicately without disturbing the moisture of my skin. So don't worry about getting the skin dry after cleanse since this white liquid wash is Taurine based cleansing agents which leave skin clean and hydrated. Yeay!!! Beyond my expectation, this cleanse has Rubus Suavissmus Extract which helps to enhance skin dullness and soothes UV damage. Experience - Don't worry! I don't skip the most important step in daily skin regime which is toner. This Lotion is used as toner instead. It has a perfect fine textured hydrating lotion balances out skin's moisture levels, prevents dullness, soothes redness and many more. You can use this like normal toner onto your skin. I use the KOSÉ tip for instant hydration by using the bihadagoyomi mask (there that small tablet photo above on the bottom right) into the cap and pour the KOSÉ SEKKISEI lotion until the mask tablet puffs up! I place on face for 10 minutes to soothe up my tired skin. Serious its hydrated instantly! Experience - One of my favorite in this challenge! I love it the fact this quick-absorbing works not just on the surface but in deep skin too. I have a dark spots and also dry skin. This emulsion helps to reduce this problems and dark spot getting much lighter and my skin isn't drier anymore. I just pumps this emulsion 2 times and apply it all over my face in light circular motion but more concentrate to my problem area. The ingredients use for this KOSÉ SEKKISEI Emulsion is superb! To name some great oriental herbs in it - Inula Britanica Flower, Chinese Pearl Barley, Paeonia Albiflora Root, Melorihria Heterophylla and Angelica which helps for more translucent complexion! Experience : I applied this black color peeled off mask twice in 7 days challenge. Love it! It helps to remove the dullness and dead skin cells, brightens and hydrates at the same time! They use Chinese Quince extracts which inhibits sebum production and a blend of oriental plant extracts for whitening benefits. Love that this black mask easily spread out onto skin without that stickiness and dripping all over the place. I wanted to show my face covered with that mask but recently photo got wipe out and I don't have time to do the shoot again! Yup! so busy with audit in office. haihhhh!!!! 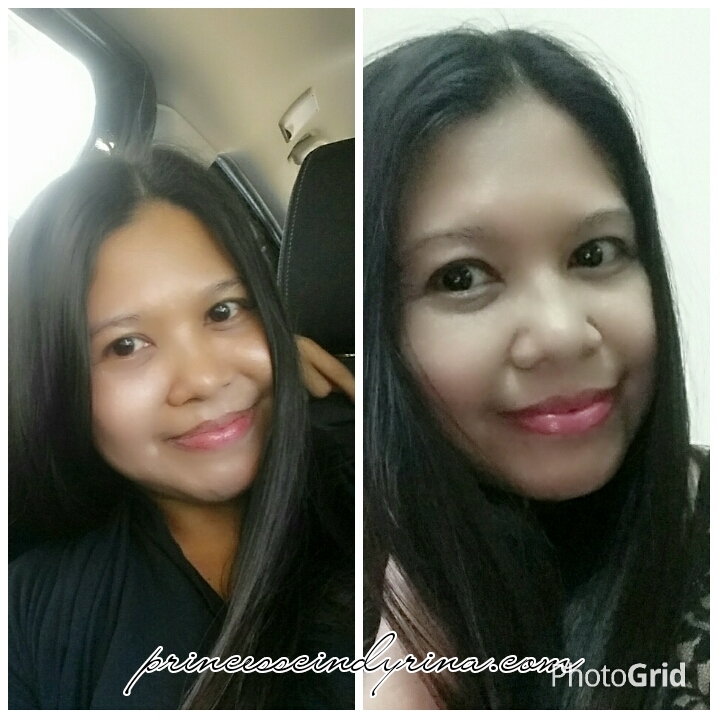 There you go...my experience using this KOSÉ SEKKISEI Special Trial Kit. You can also can get yours at only RM99/- with all mentioned products above in the kit. Its especially for KOSÉ SEKKISEI first time users . So one can just buy this and try to see the suitability for skin before purchasing a full sized products! What you get in KOSÉ SEKKISEI Special Trial Kit? I love my new skin. Feel like a new person. I can feel it less dry, less dull now and most import the spot kind of lighter a bit! 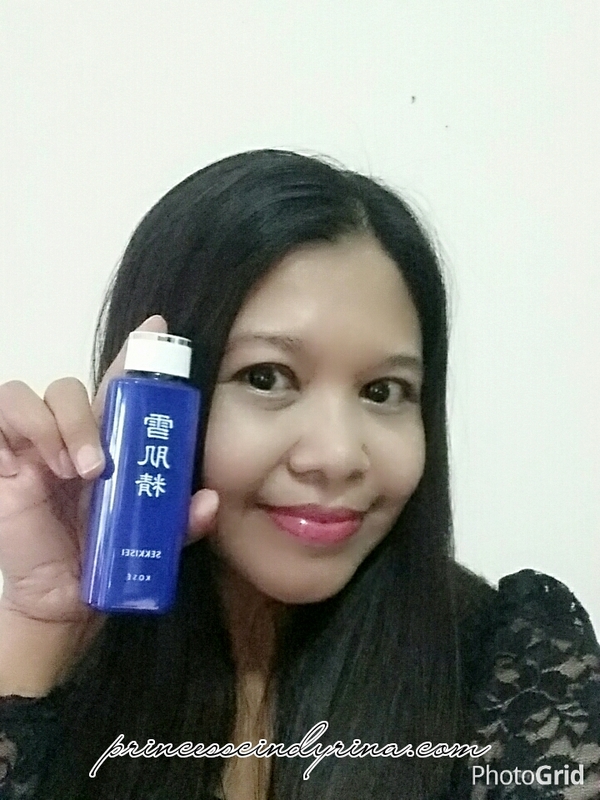 Thank you KOSÉ SEKKISEI for restoring translucence to my skin! KOSÉ SEKKISEI came to me with love like this a few weeks ago. I love it back ! Personally kind of in love with KOSÉ SEKKISEI Emulsion and Lotion. It suits my skin well. 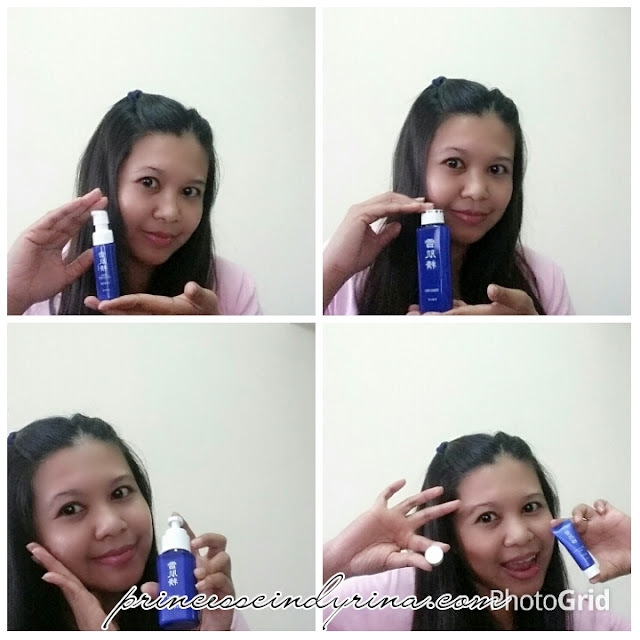 Thank you for introduce me with this awesome products! At first wanna do my review with props sent along with this lovely box. 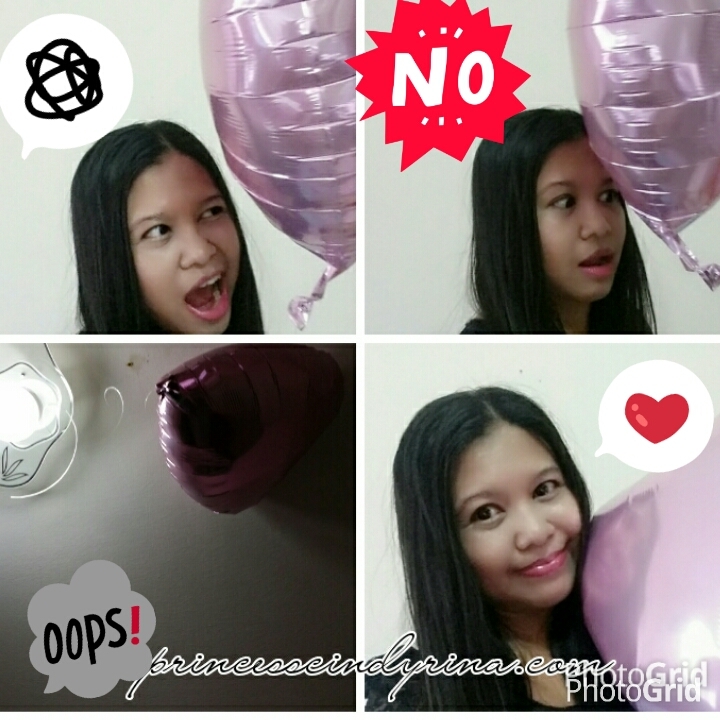 haihhhh...I got very impatient with all balloon scattered all over and hard to manage floating heat like this. It flew up stick on the ceiling and almost cause accident with ceiling fan too. WTH! I end up tie this balloon on my treadmill. kekekekeke....My treadmill full of love now! KOSE always my favourite brand, very nice product. It's jut temporary fix right? Have to constantly apply for the effect to maintain? Or after application, it'll remain permanent? nothing last forever! no such thing as miracle! The packaging is really pretty. I think their product is really good, I saw lots of ppl buying back from Kose since it's cheaper there. Such a lovely product... I love the way they packed the surprise box! This really a famous brand, i saw a lot people purchase it while travel to Taiwan. missed you alot , long time no see you in person. Theres absolutely no reason not to love KOSE. hehe. Loving their whitening mask man! This is a good product and I trying it now. I love it so much. Love this trial kit. I have been using it too for the past week. I love Kose! especially their lotion. Good to know that this product is nature friendly. Will definitely recommend this to my female friends. I get impatient with the balloons too! And the box is quite spoil too when I received it TT Nevertheless I love this product as well, gives the healthy shines and glow for my skin. You really don't look 42 at all. KOSÉ SEKKISEI will only make you look even younger. hahaha! 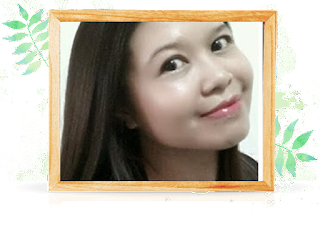 You look like you're in your 20s, babe :) All the beauty products are doing their magic! 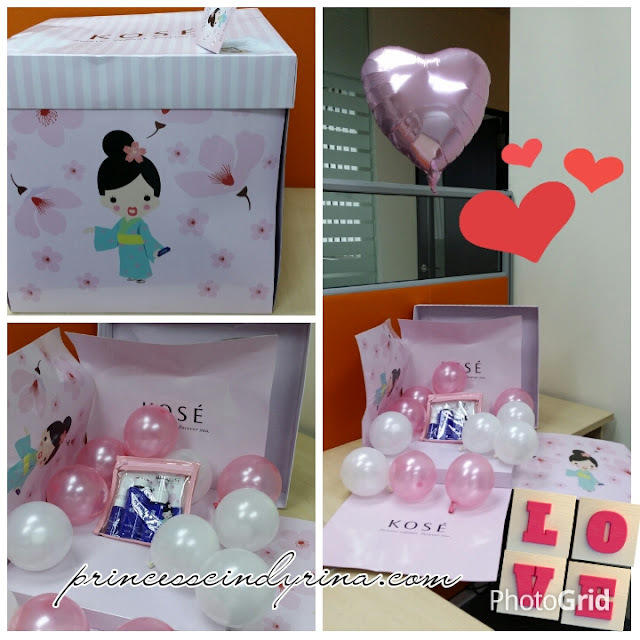 KOSE i heard has some wonderful range of products though i have not yet tried any of it. KOSE, a good brand.. heard more bloggers are using it. Wow to start off with it you look reallly young..